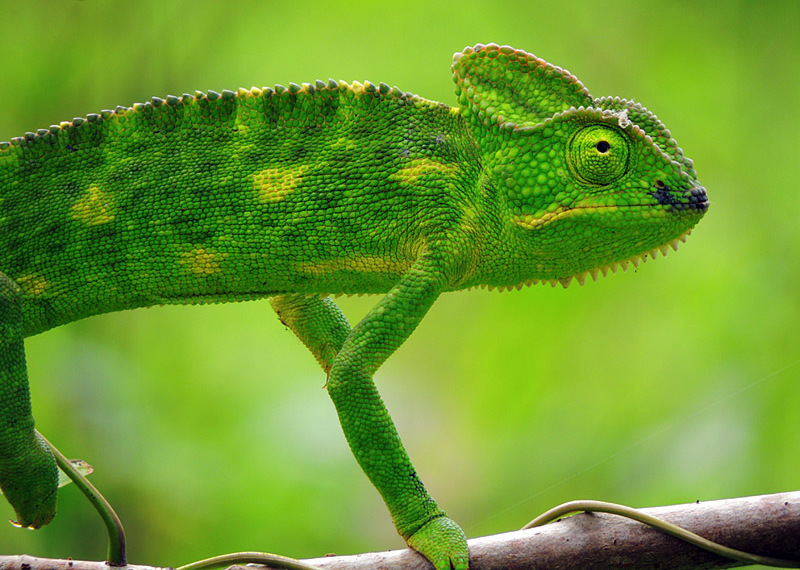 Chameleons change color by expanding or contracting pigment cells in their skin. 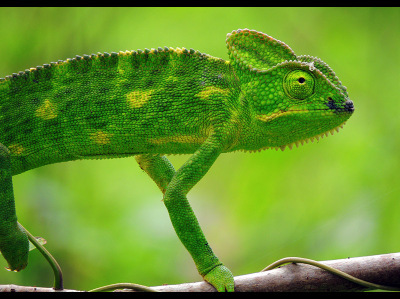 Chameleons change color primarily to help control their temperature or to communicate with other chameleons. At night while they are sleeping chameleons become paler in color. Chameleons locate their prey by sight. Chameleons stalk they prey slowly their flick their tongue out at great speed to catch their prey. 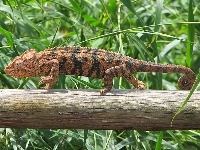 A chameleons can pivot each eye independently in a different direction. 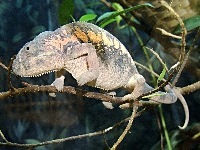 The Oustalet's Chameleon is the world's largest Chameleon and can reach about 27 inches in length. Chameleons occur is Africa, Madagascar, Asia and Europe. 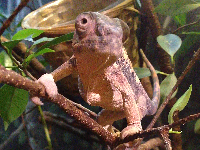 Male Chameleons are highly territorial. The emotions a Chameleon is feeling can impact their skin color.